Remove the Heater and Air Conditioning Evaporator and Blower Module. 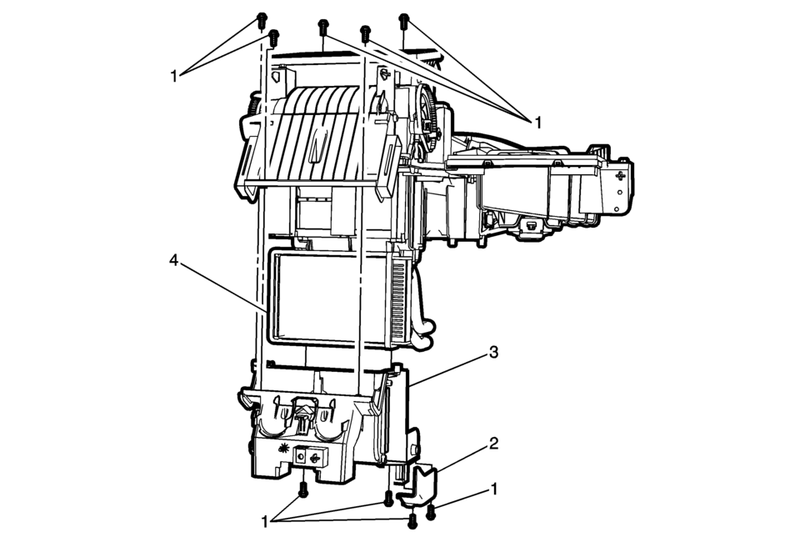 Refer to Heater and Air Conditioning Evaporator and Blower Module Removal and Installation. Disconnect the electrical connectors as necessary.